Need help with these arrangements? ​detailed video lessons (TAB on-screen) covering every arrangement in the LIBRARY! Plus EARLY ACCESS to lessons for upcoming releases! Please note: Printing TAB for cover songs is NOT included with a Membership. Video lessons ONLY. Subscribers get 50% off every TAB purchased! Kelly Valleau crosses over from nylon string guitar to steel string guitar on his new release. "Vol. 2" covers many different styles from Classical, to Metal, to Spanish, to Rock & Pop; all stellar compositions. Also included are two Metallica covers that are sure to be fan favorites and covered by many. 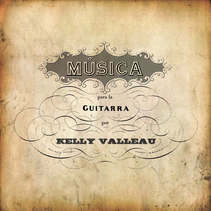 Kelly Valleau is a gifted guitar player, composer, and teacher of many styles of electric, acoustic, and classical guitar. This diverse background of styles lends itself to a well rounded CD with compositions drawing from many different influences. "Those Canadians at Candyrat Records sure are putting out some nice guitar music...Valleau displays solid technical skill and a fine sense of musicality. "© Kirk Albrecht Minor 7th. 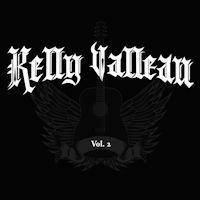 Kelly Valleau is a spanish fingerstyle guitarist hailing from the "Great White North", that's Canada if yeah didn't know eh!....the breeding ground for spanish fingerstyle guitarists. A performer, composer, arranger, transcriber, teacher, student and all around good guy. This multi-dimensional guitarist has forged a unique solo guitar style, firmly rooted in classical composition with modern guitar techniques.